Labuan is best known as a Southeast Asia financial center and for duty-free shopping. Most visitors consist of off-shore businesses and local bargain hunters. Only a handful of travelers make it to this island. But they’re in for a treat. Diving to shipwrecks, pristine beaches and World War II military attractions make Labuan among Borneo’s most underrated destinations. A trip to Labuan promises an adventure and a convenient stop between Sabah and Brunei. The Crazy Tourist identifies the 15 best things to do in Labuan including where to go diving, which museums to visit and the island’s most famous World War II attractions. Labuan Island allures thrill-seeking divers to explore its four shipwrecks. As experienced divers know, this is a rare indulgence. Join a tour and explore one or all four shipwrecks including Cement, Australian, Blue Water and American Wrecks. Nothing beats the thrill of swimming with thousands of fish through the submerged compartments. Discover each wreck’s story and how they met their fate to rest for eternity off Labuan’s coast. 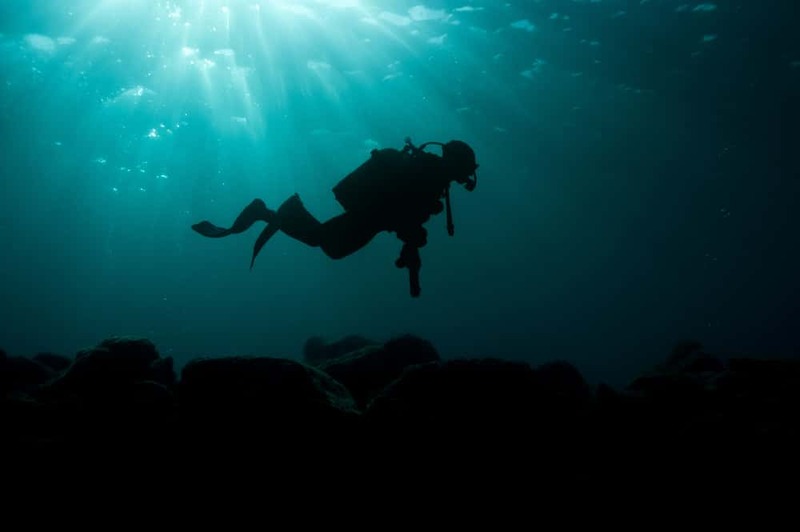 Both newly qualified divers and the experienced can visit the wrecks. Arrange your tour before arriving in Labuan. Because of its tax-free status, Labuan allures bargain hunters from mainland Borneo. Both Malaysians and Indonesians from Borneo regularly make the trip to stock up on goods. Shopping malls have everything from the latest fashion to designer handbags to perfumes. 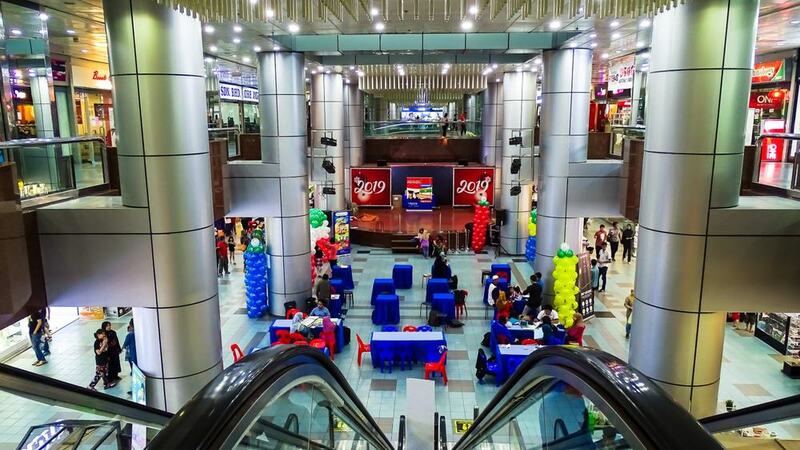 The Crazy Tourist recommends Financial Park Shopping Mall for clothes, shoes and electronics. If you need to replace your phone or camera, Labuan is the place to do it. Check out Bazar Labuan for handicraft, pearls and homemade jewelry. Labuan doesn’t have the same reputation as neighboring Sabah for postcard-perfect beaches. But drive ten minutes from Labuan Port and you’ll find several unspoiled stretches of sand. The undeveloped beaches along Labuan’s western and northern coastline are practically empty. A handful of local families sit under the shady palm trees. Two or three kids play in the sand and splash around the gentle waters. You won’t see anyone else. Hardly any non-Malaysians have stepped foot on the sugar-like sand. The Crazy Tourist recommends Layang-Layangan Beach and Surrender Point along the western coast. Check out Pohon Batu and Pancur Hitam Beach to the north. 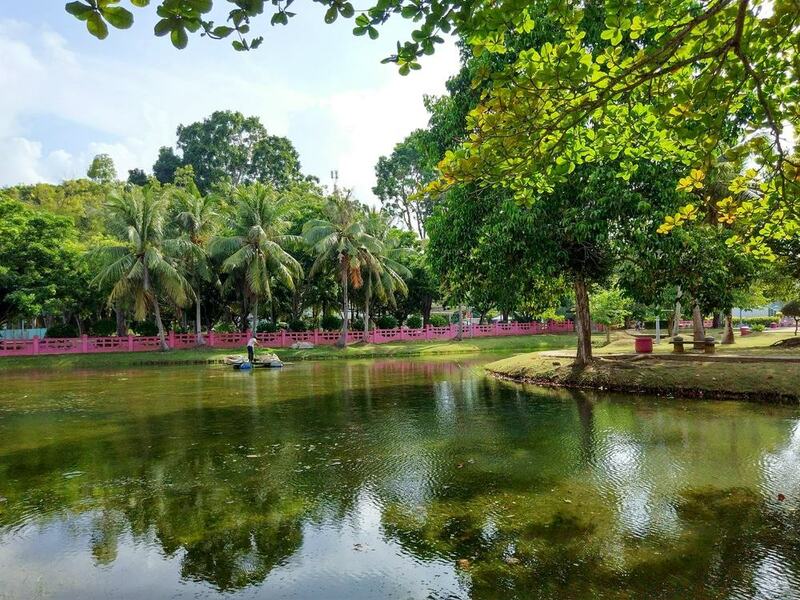 Labuan’s Botanical Gardens is a tropical paradise within minutes of Labuan Town. The public park has hundreds of plants, colorful flowers and shady spots. Back in the middle of the 19th-century, the British Government House stood inside the grounds. It was completely destroyed during World War 2. 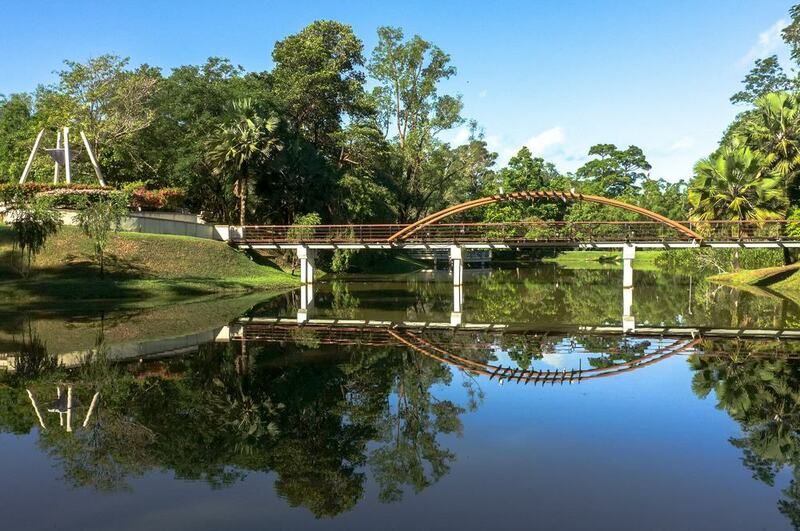 Follow the paths around the park and discover mini-gardens, rare species of palm and the ruins of Government House. Keep your eyes open for Labuan’s oldest graveyard, which dates to 1847. Labuan’s history is closely related to the sea. 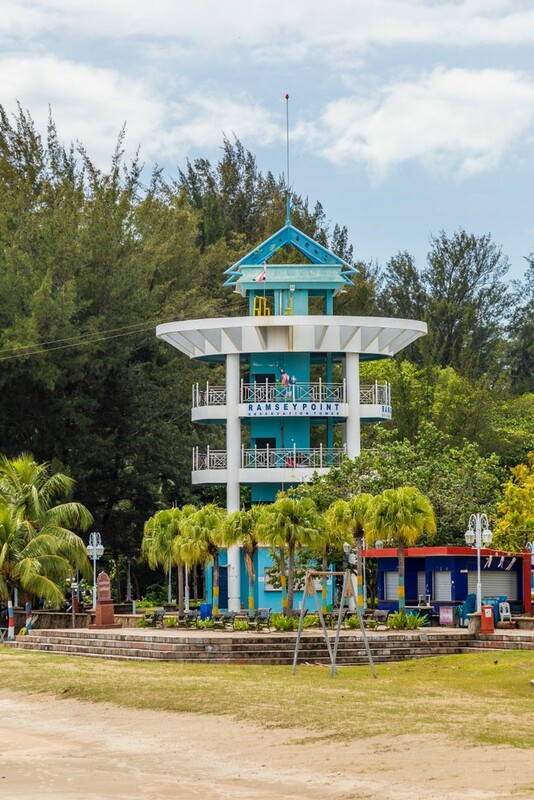 The Marine Museum east of Labuan Town showcases a small part of their rich maritime past. Exhibits include a fascinating array of artifacts rescued from Labuan’s four shipwrecks. Other sections include an aquarium with starfish, corals and sea cucumbers. The museum itself is inside the International Sea Sports Complex. The Crazy Tourist recommends scuba divers to stop by the Marine Museum before diving to the wrecks. Labuan Bird Park houses more than 580 birds inside semi-wild enclosures. 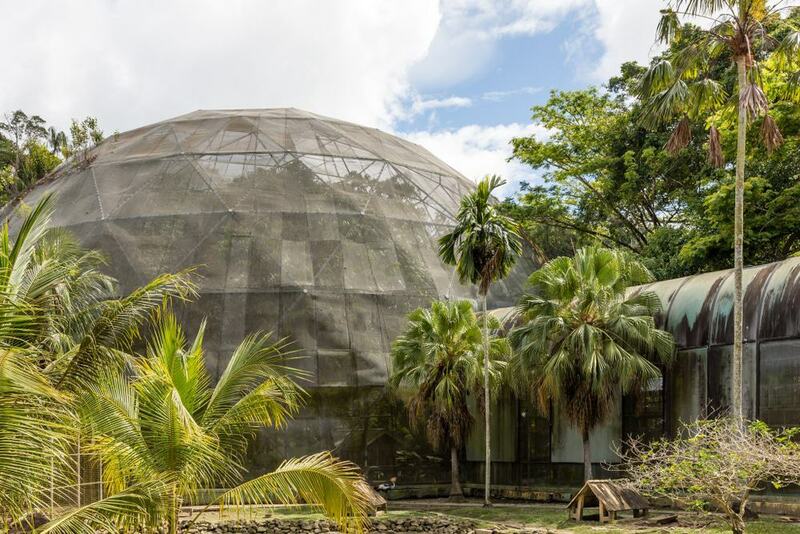 Step inside and meet dozens of species including hornbills, kingfishers and cockatoos. Ostriches, eagles and mynas live in other sections of the Bird Park. Learn about the millions of birds that live inside Borneo’s ancient jungles. Most travelers spend between one to two hours inside one of Labuan’s most family-friendly attractions. Both Labuan Bird Park and the Chimney Museum are close to each other on the northern coast. Visit both on a half-day trip. As far as mysteries go, Labuan’s Chimney is among the more bizarre ones you’ll encounter. But this adds to the quirkiness of the attraction. 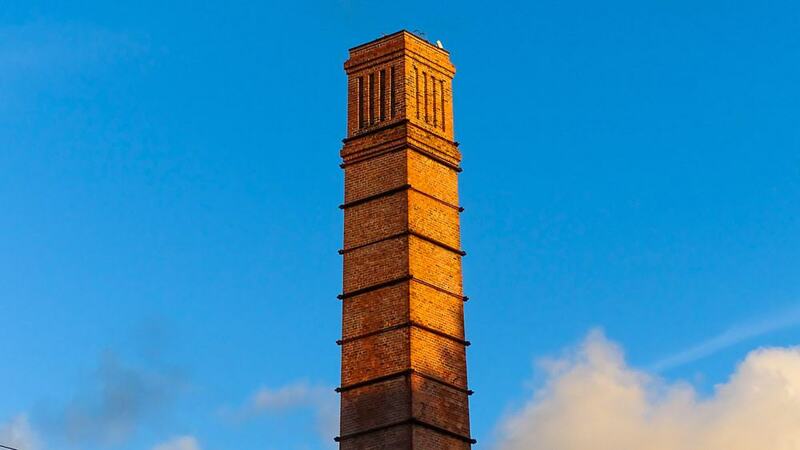 Standing at 32 meters (105 feet), the Chimney uses more than 23,000 red bricks shipped over from England. Despite its imposing stature nobody knows why it was built or what it was used for. Some suggest the Chimney belonged to a demolished factory. Others say it served as a ventilation shaft for the coal mines. A small museum offers insight into this strange chimney’s construction and the current theories about its origin and function. 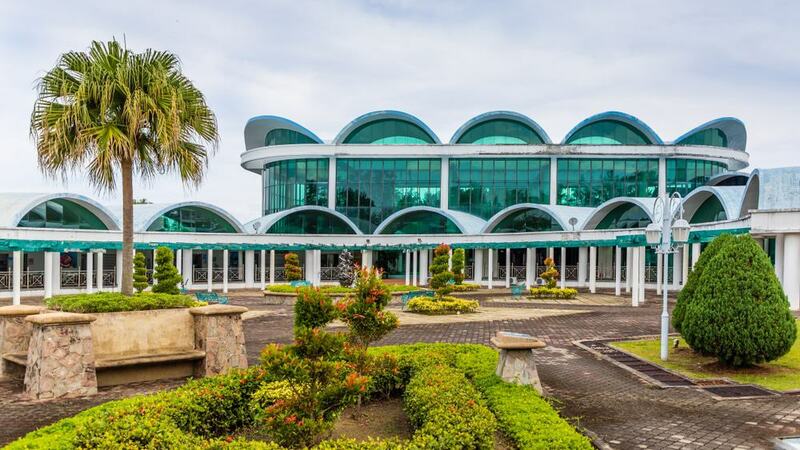 Labuan Museum presents the island’s long history, traditions and culture. Meet Labuan’s earliest inhabitants who thrived on the island thousands of years ago. Read about how the British colonialists used Labuan to expand their influence into Borneo. Other displays explain Labuan’s crucial role in World War II. Permanent exhibitions explore Labuan’s role in the coal mining industry as well as a room dedicated to ethnographic displays. Take the time to admire the colonial building housing Labuan Museum. The trees in the small square outside were planted in honor of Queen Elizabeth II of Great Britain’s 1953 coronation. Labuan’s Sikh community moved to the island in the 1860s. The British encouraged migration from India to work in the coal mines and security forces among other professions. 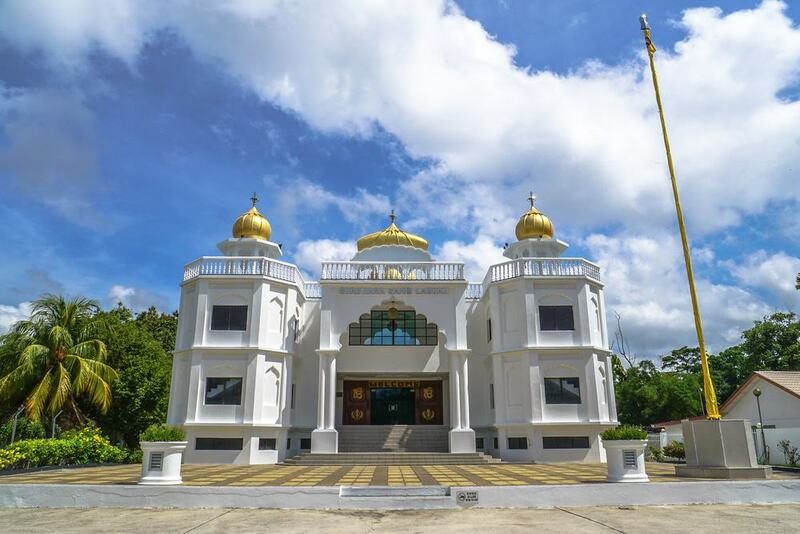 Gurdwara Sahib is the best example of Sikh architecture in Labuan, if not Borneo. Covering two stories, the white-washed structure is the island’s largest temple. Four golden domes top each corner. The best place to snap a photograph of this majestic building is near Botanical Gardens. A total of 3,908 men rest inside Labuan Island’s World War II Memorial. Labuan and Borneo suffered under the brief Japanese occupation. Thousands of Allied soldiers lost their lives defending the island or later as Prisoners of War. 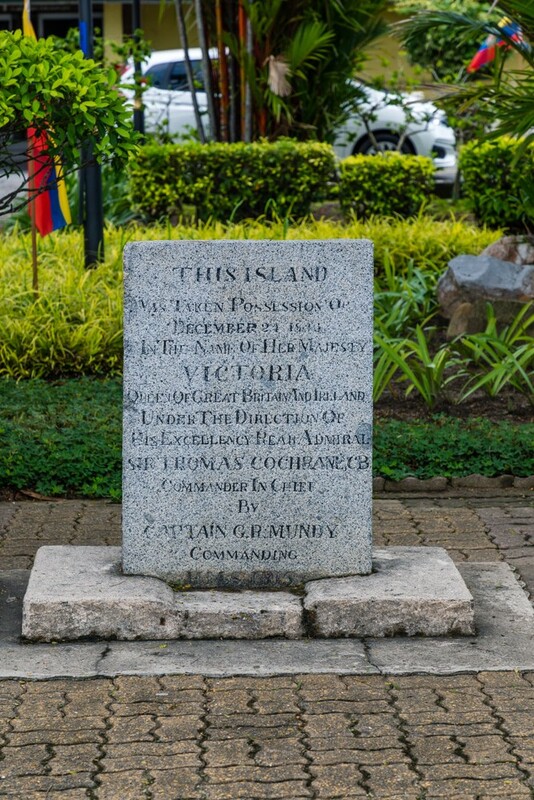 The Memorial is a few kilometers north of Labuan Town and contains rows of immaculate graves stretching endlessly in all directions. Spare a thought to the thousands of Australian, British, Malaysian, Indian and New Zealand troops who died. Military services take place to remember the fallen heroes every November. Floating villages rising precariously above the water are a common site in Borneo. Wooden stilts stand in the water supporting a village with shops, mosques and schools. A matrix of rickety wooden walkways connect one part to the next. 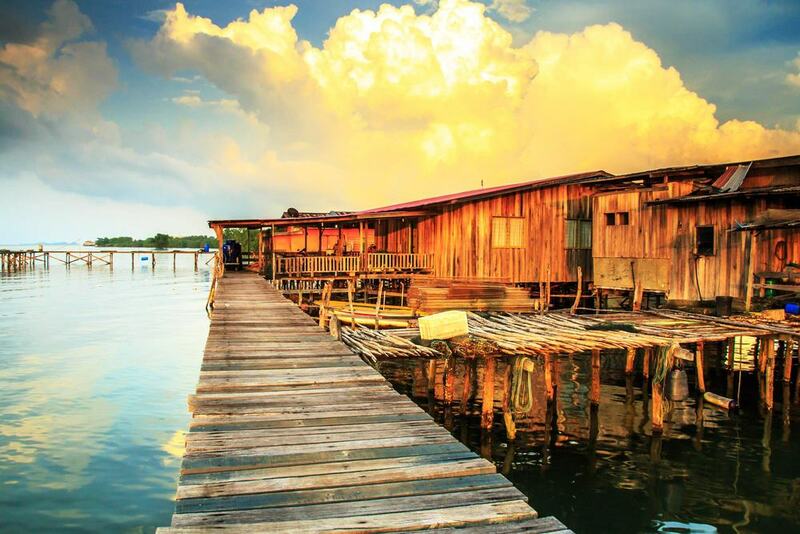 Labuan has two floating villages, which give an insight into this enigmatic lifestyle. Kampung Patau-Patau is near Labuan Town. Kampung Bebuloh sits further to the west. Ferries connect each village with the mainland. Descendants of Labuan’s early fishermen, sailors and traders live here today. Travelers can stay at a homestay in Patau-Patau to experience life in Borneo’s famous overwater cities. Labuan Clock Tower opened in 1906. After irreparable damage during World War II, it was demolished. Today’s stately clock tower replaced the original in 2002. The white-washed structure blends different architectural styles over its three tiers. Each section has its own design. The clock face sits under a pyramidal-shaped roof. Capture the grand structure’s elegance in front of the orange-red canvas in the sky during sunset. The Clock tower is near the city beach. Ramsey Point might not appear like much on first glance. The unassuming beach lacks Labuan’s paradise-like environment along the northern coastline. But Ramsey Point played two critical roles in Labuan’s history. In 1846, the Sultan of Brunei ceded Labuan to Captain RN Mundy of Great Britain. The British slowly expanded their influence to areas in North Borneo (today’s Sabah). Allied forces landed on Ramsey Point in 1945 and liberated the island from Japanese occupation. Stand on the coastline and spare a thought for the role this beach played in two significant events in Labuan’s history. Peace Park in Layang-Layangan symbolizes peace after World War II. The landscaped gardens stretch along Labuan’s western coast next to the beach. 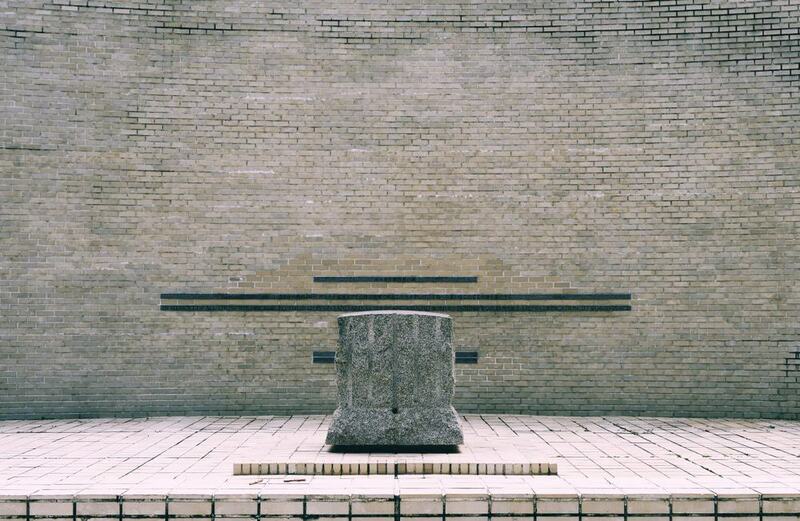 Japanese authorities commissioned Peace Park in 1982 to honor those who sacrificed their lives during the war. A stone plaque acts as a memorial to the atrocities and suffering. The House of Culture and Art Gallery sits inside the park too. 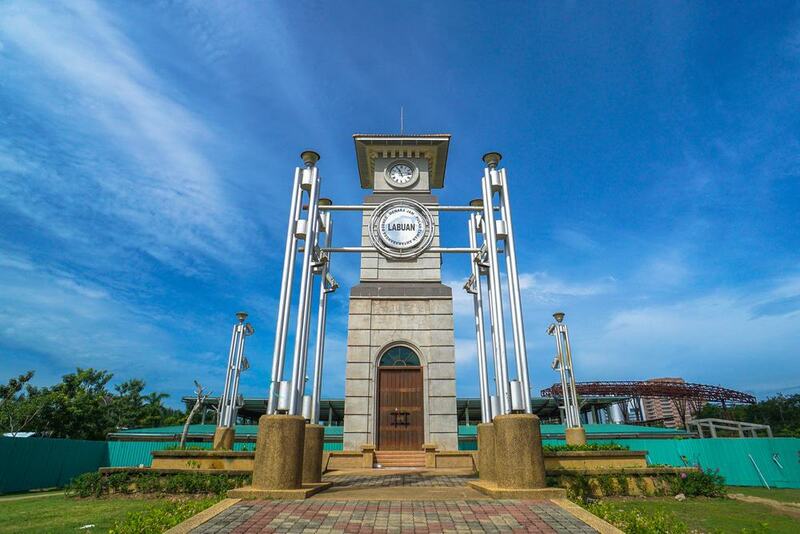 Peace Park is among Labuan’s most visited attractions. The Crazy Tourist recommends combining a trip with Surrender Point in the late afternoon. 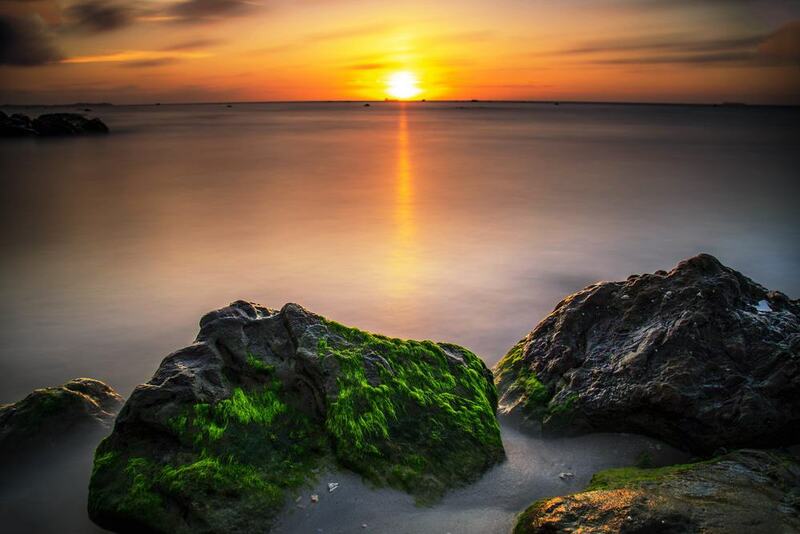 Watch the Bornean sunset from the beach. Surrender Point next to Peace Park marks the spot where World War II ended in Southeast Asia. Australian troops received the official surrender notice from the Japanese Army on September 10th, 1945. The area has since transformed into a memorial and mini-museum. 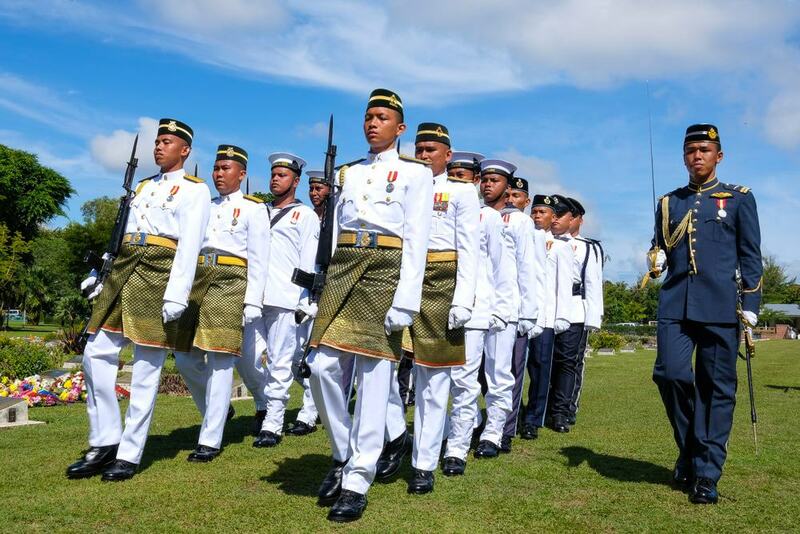 Outdoor displays show old photographs depicting Labuan during the war. Information displays provide insight into how the war played out and the events leading to the official surrender.